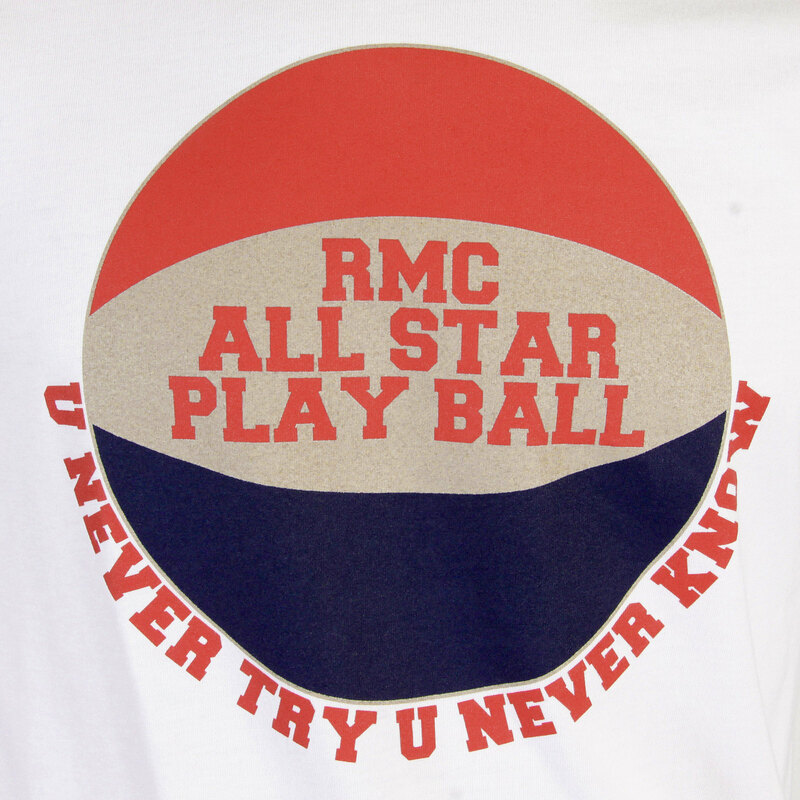 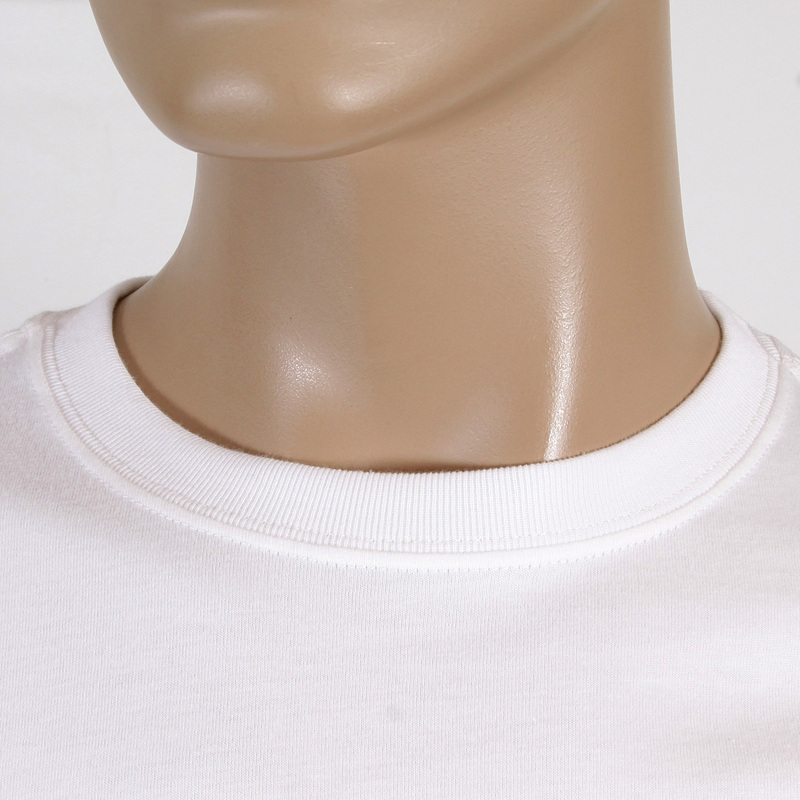 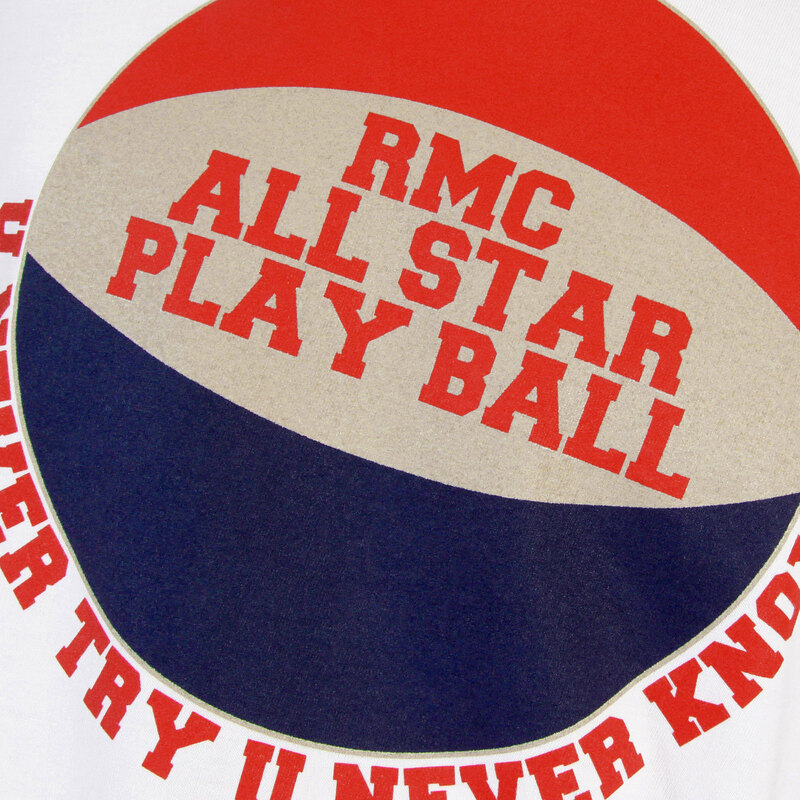 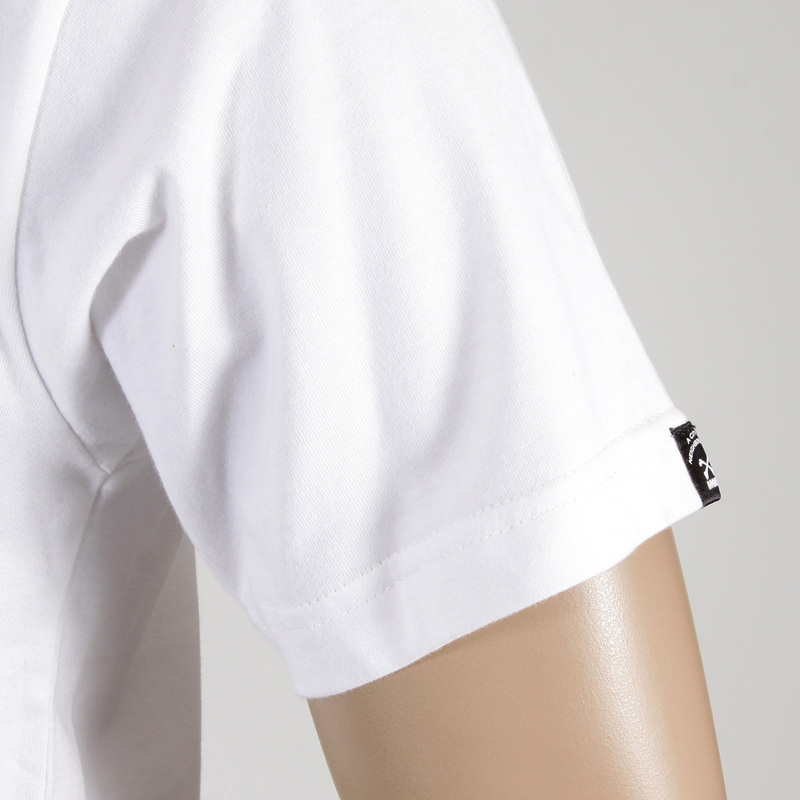 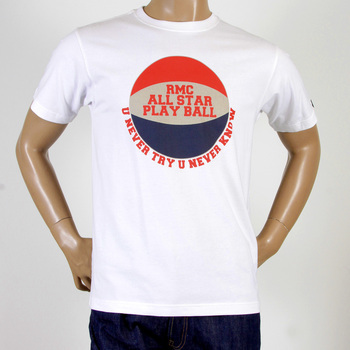 Head for a sporty look that comes packed with class in this white t-shirt from RMC Jeans. 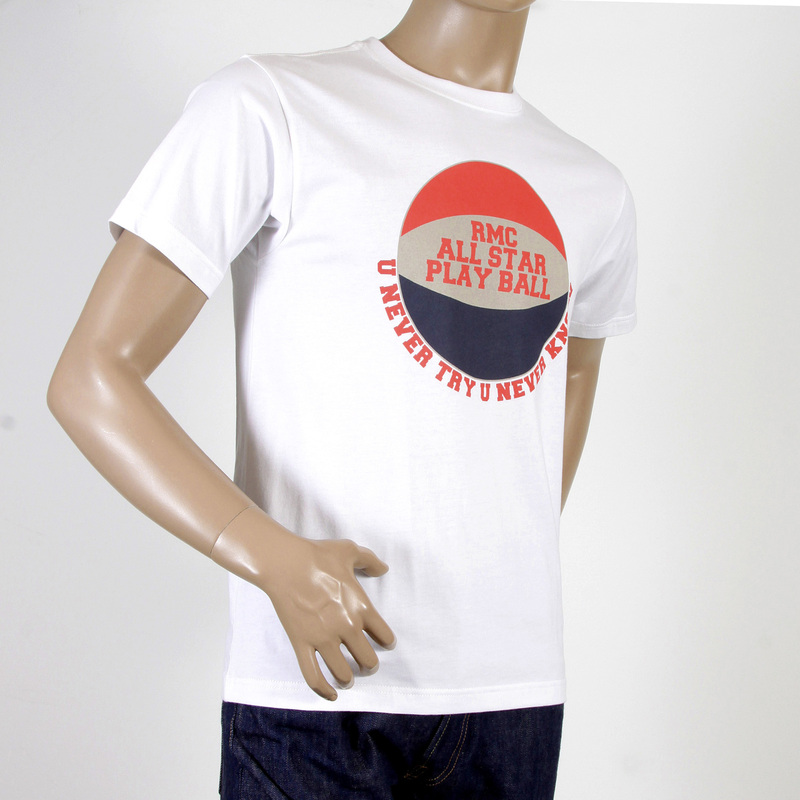 The classic cotton tshirt is tailored in a regular fit, and features a cool basketball-themed print at the front. 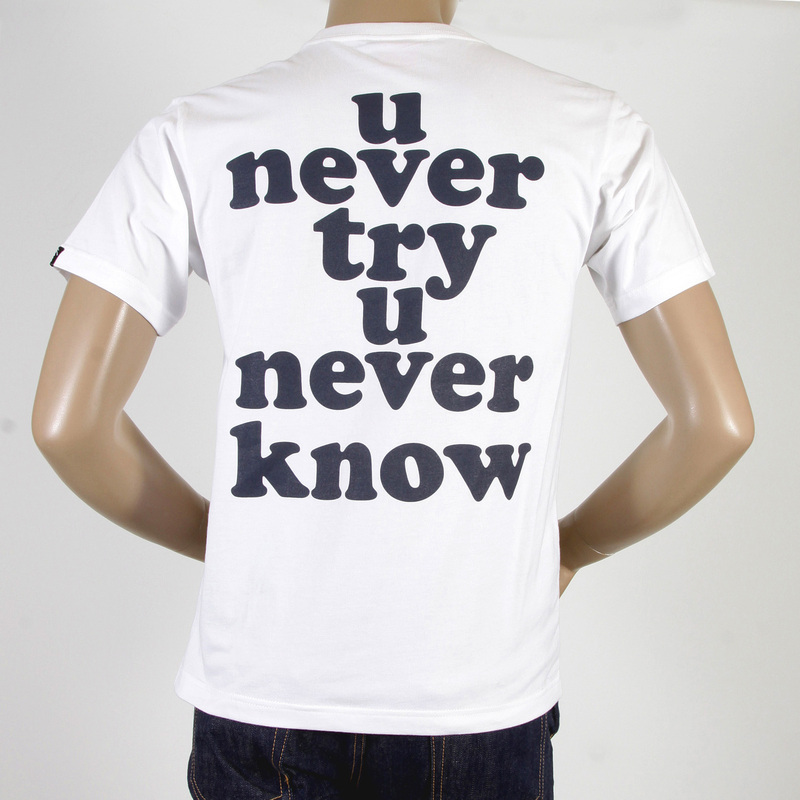 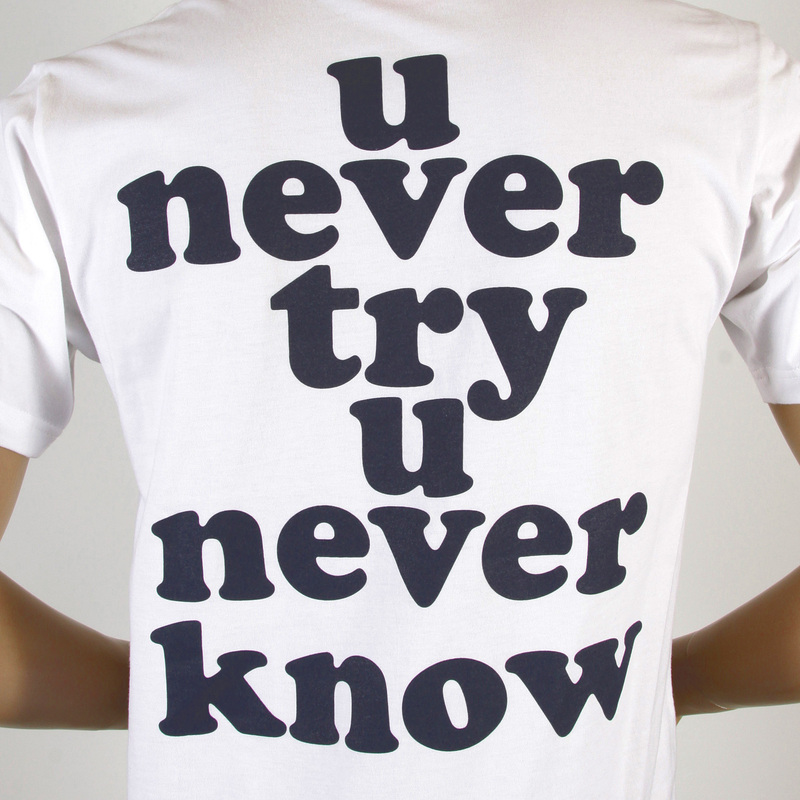 Featuring U Never Try U Never Know print on the back in bold and large fonts, it will be an instant hit for an evening sit-in get together. 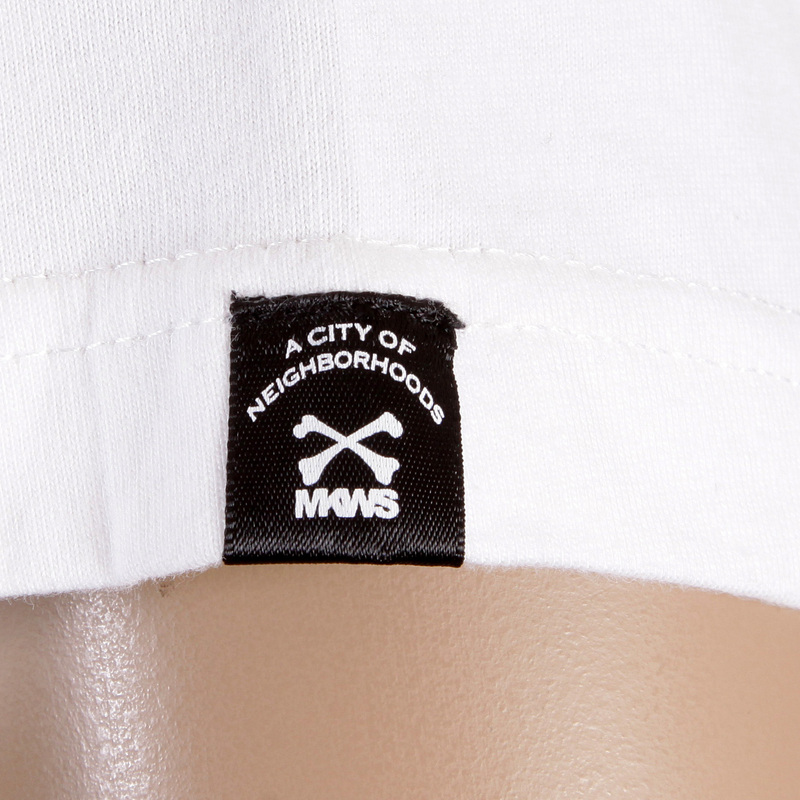 Complete this with denim shorts and trainer shoes.